If you haven’t had a weekend getaway for awhile, what are you waiting for? 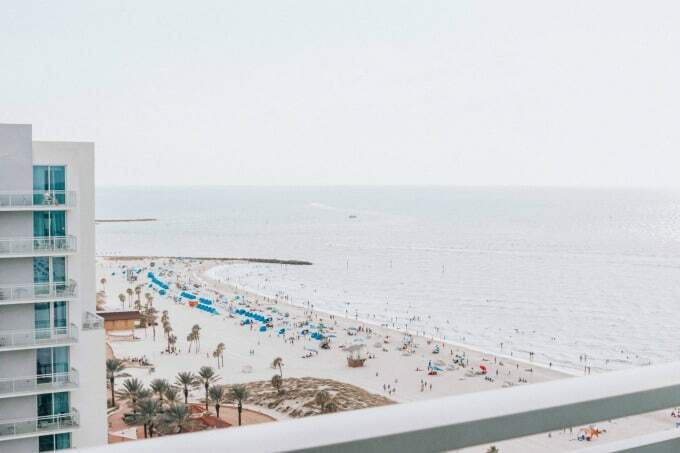 Find out why the Wyndham Grand Clearwater Beach makes the perfect destination for your next girl’s weekend! 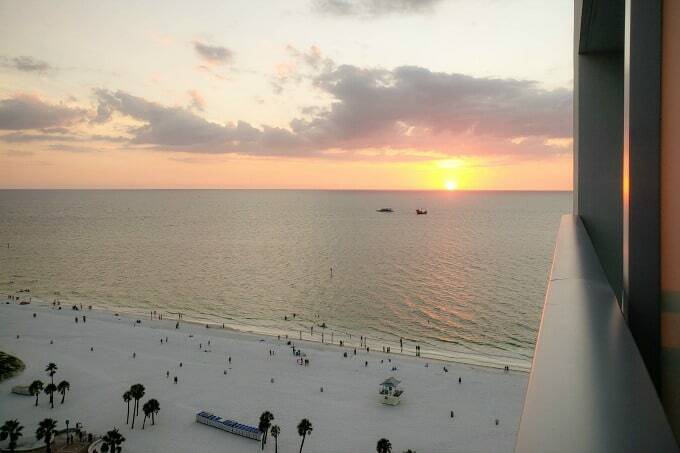 Thanks so much to the fabulous Wyndham Grand Clearwater Beach for hosting our retreat. All opinions are 100% my own. Everybody needs to get away sometimes but nobody needs it more than moms! (Sorry dads but you know we’re right!) That’s why I was so excited about the #ShareYourInfluence blog retreat last week. I’d been working on putting it together for at least six months and when the big weekend finally arrived, I was ready! This was going to be both a working weekend and a girl’s weekend. 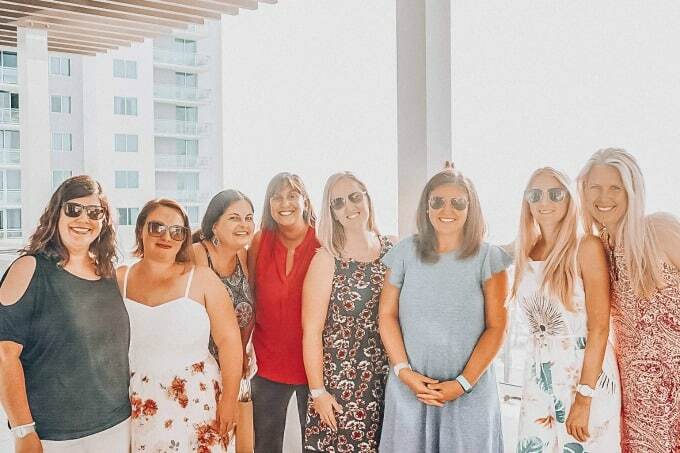 I was getting together with my favorite blogger friends to eat, drink and of course, talk blogging. The bonus? We were holding our retreat at one of my favorite places! 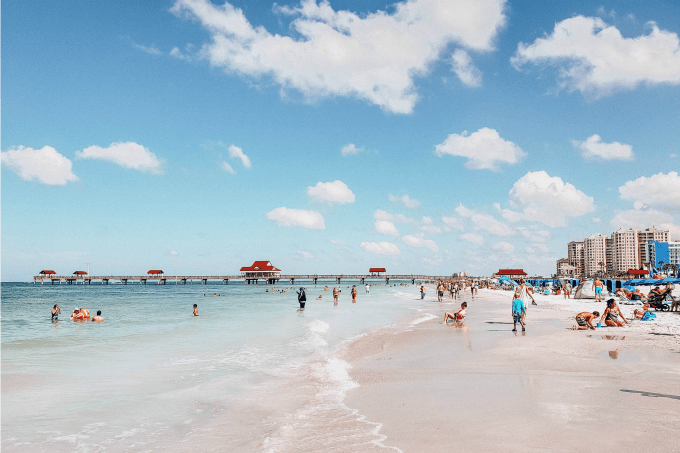 I may live in Sarasota, where we’re known for our gorgeous beaches, but there’s just something about Clearwater Beach that I can’t get enough of. Between the super fine sugar sand, spectacular sunsets, and all the fun things there are to do, I can’t get enough! 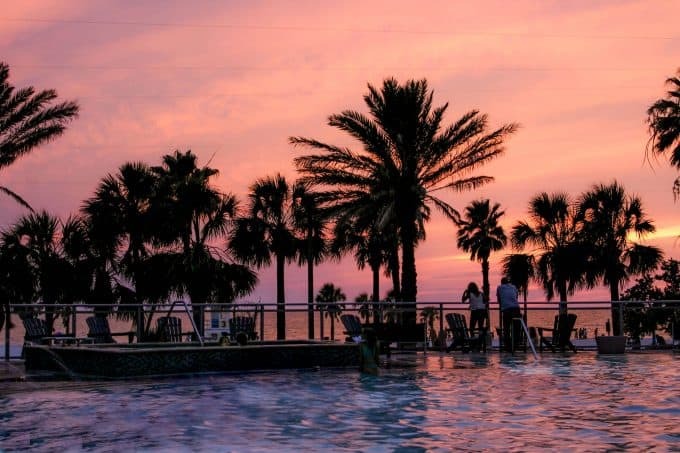 The same goes for the Wyndham Grand Clearwater Beach. I’ve stayed there several times now. 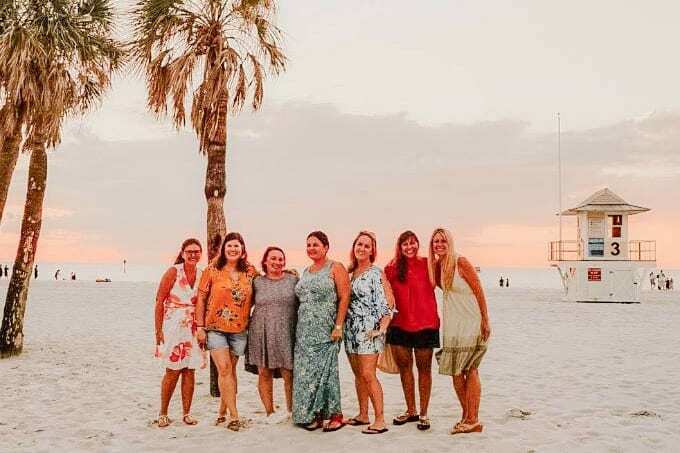 Once was for a romantic getaway, another was for a mommy/daughter Reconnected weekend and now a girl’s weekend. 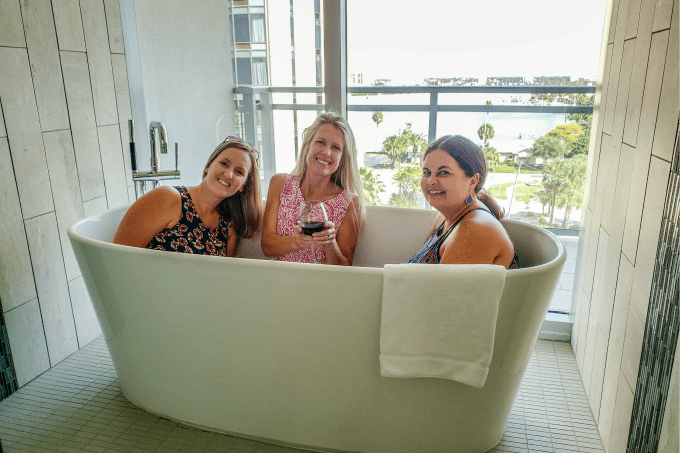 (You can read my full review of the hotel on TravelingMom) I’m discovering that it’s the perfect hotel for pretty much any kind of getaway, especially one with my girlfriends! 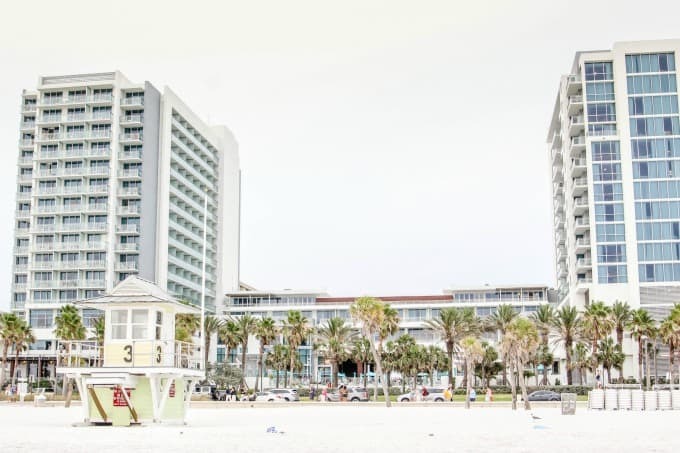 The Wyndham Clearwater Beach couldn’t be more centrally located. Just steps from the beach, it’s walking distance to restaurants, shops and even boat tours and other activities. 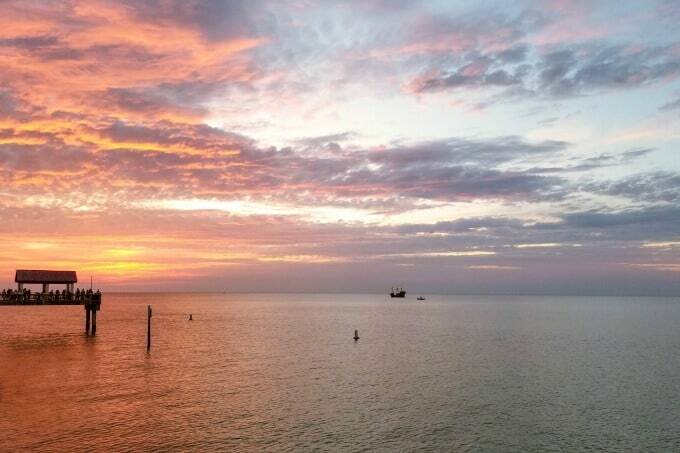 It’s also just next to Pier 60, where you’ll experience some of the best sunsets you’ve ever seen. I’m not kidding…have that camera ready! If you can’t make it to the pier in time, don’t worry. You’ll also get the perfect sunset view right from your room too. 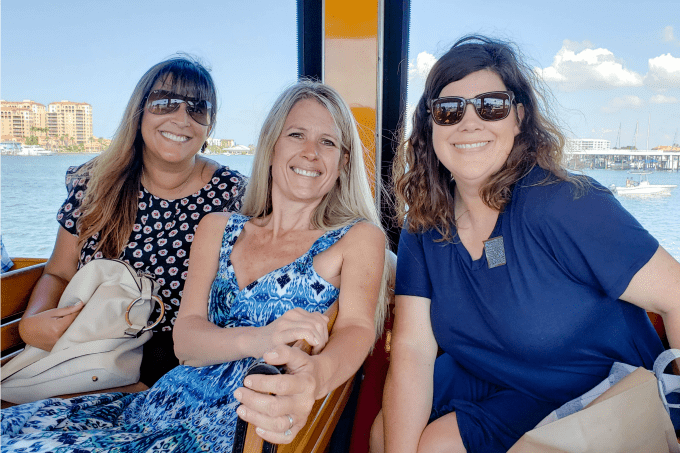 If you and your friends want to explore, you can hop on the Jolley Trolley, which stops just outside the Wyndham’s back door. 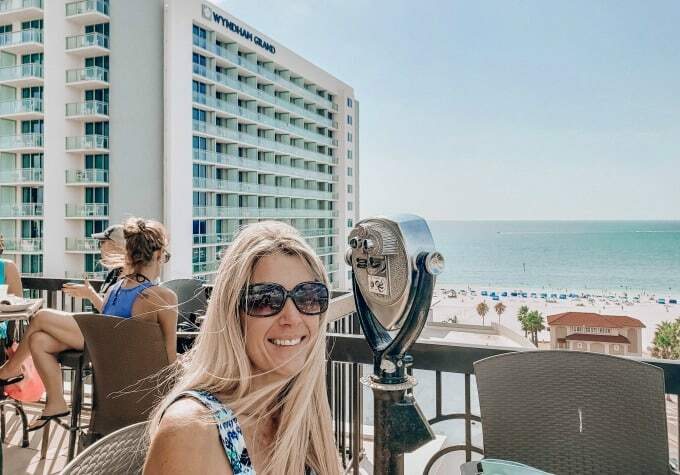 We rode all around town, checking out Hope and Winter at the Clearwater Aquarium, eating lunch at Clear Sky On Cleveland, then right back to where we started at the Wyndham. I’m always happy to let someone else do the driving and it was a fun way to get around town, especially with a group! When you stay at the Wyndham, you won’t even want your car. Aside from our afternoon sightseeing from the Jolley Trolley, we had everything we could possibly need within walking distance. What better way to spend a girl’s weekend than hanging out by the pool, right? This one comes with a view so be sure to grab chairs that overlook both the pool and the ocean! The pool area got busier later in the day but never felt crowded. It’s the perfect place to chill with friends and enjoy a drink. 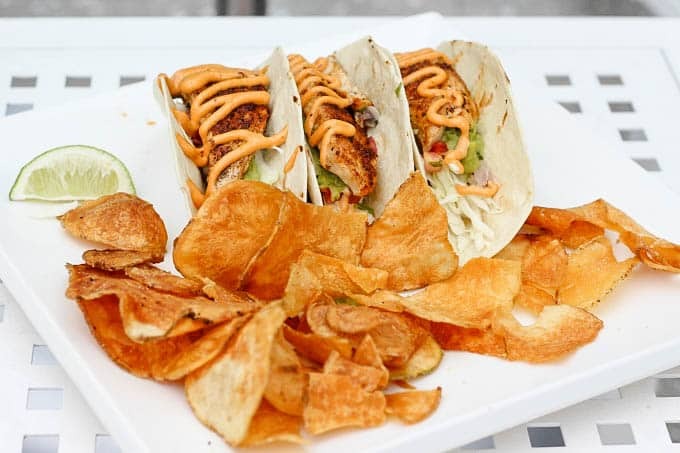 Doc’s Pool Bar And Grill serves food and drinks poolside and I’m totally hooked on these mouthwatering fish tacos! Did I mention that the pool is heated? I’m a Florida girl through and through and am not a fan of cold water. 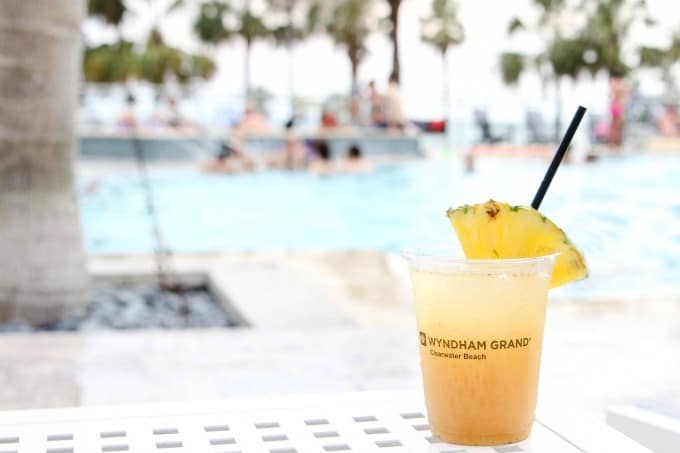 The pool at the Wyndham is always the perfect temperature so it was kind of hard to decide whether to spend the day on the beach or at the pool. You don’t even have to go down to the beach for sunset if you don’t want to. It’s pretty spectacular from the pool too. The food from Doc’s is pretty awesome but when you’re ready to take it to another level, you’ll want to have dinner at Ocean Hai. 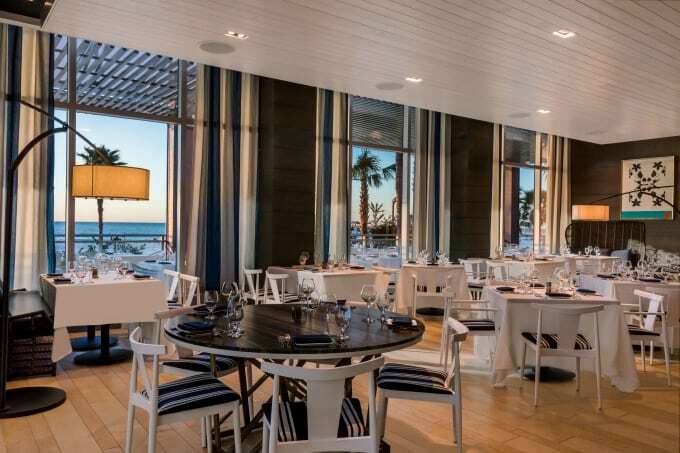 If possible, reserve a table by the window or sit outside for a fabulous view overlooking the water. 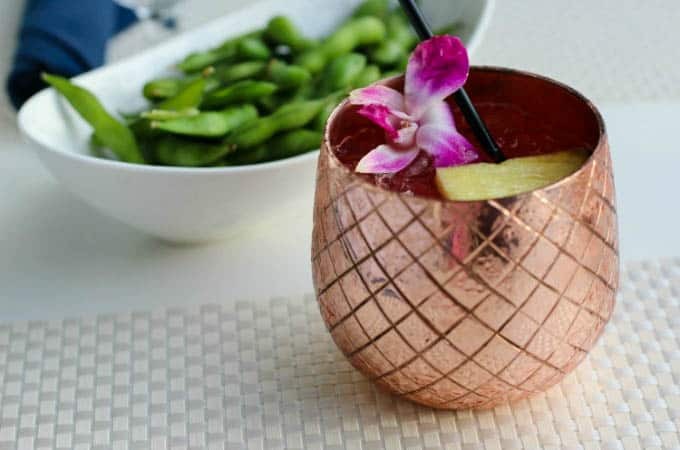 Ocean Hai is Wyndham’s signature restaurant and the only place in Clearwater serving Asian fusion. Of course, for a girl’s weekend (or really any kind of weekend) you’ll want to start off with a cocktail! 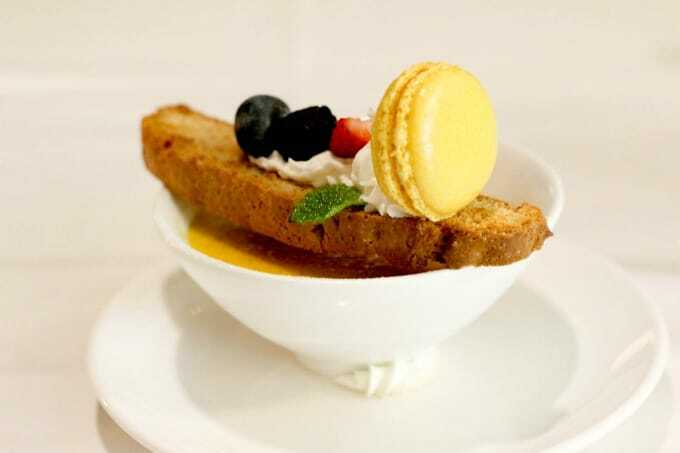 The menu features sushi as well as a more traditional menu with seafood, steak and more. You can pick one or the other…or both! 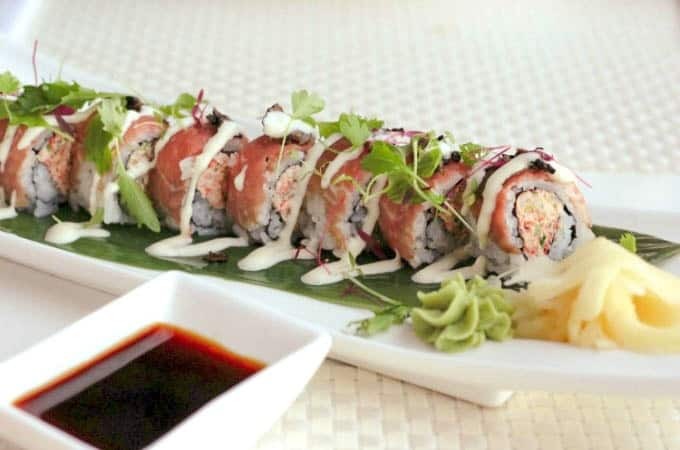 If you’re a sushi fan as I am, you’ll want to at least order an appetizer. The sushi chef knows what he’s doing! 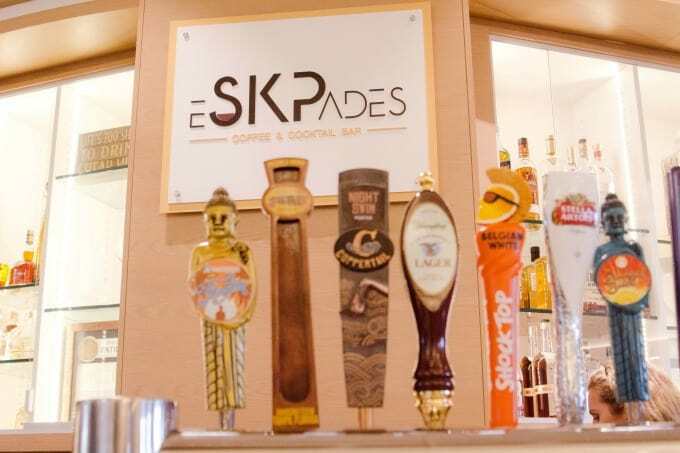 After dinner, Eskpades is the perfect spot to enjoy drinks with friends. Located in the lobby of the hotel, it’s the best of both worlds! In the morning, they serve Starbucks coffee and pastries, though I always had my in-room Keurig going the minute I hopped out of bed. Nighttime was a different story though. That’s when it was a hotel bar and the perfect laid back place for us to chill. This is where we ordered wine and chatted the night away. They have a great wine list and though I always expect hotel bars to be super expensive, the prices here were very reasonable. They also offer beer and mixed drinks and if you need a late night snack, they’ll serve up some appetizers too. Since it was the weekend, the bar area was pretty popular so we found a comfy sofa in the lobby. It was a great place to toast and plan our next adventure. 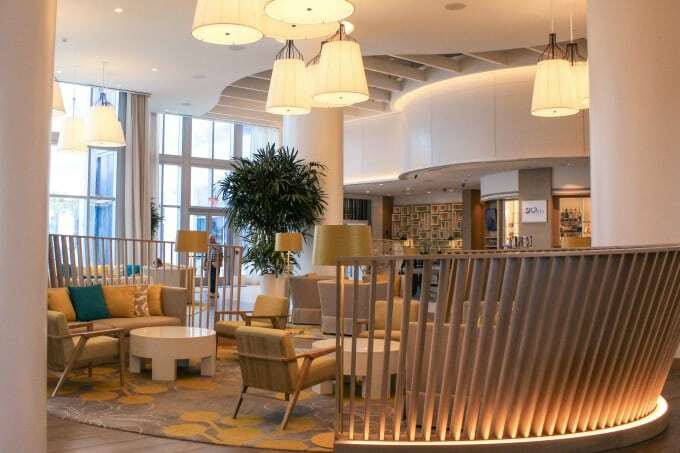 The Wyndham lobby is beautifully designed and upscale without being stuffy, much like the entire hotel. What’s a weekend getaway without some time at the spa?! 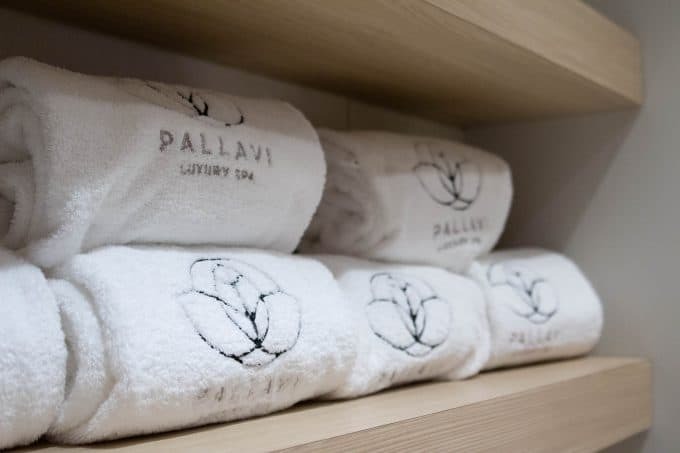 Pallavi Spa offers all the traditional spa treatments like massages, facials, body wraps and my personal favorites, manicures and pedicures. 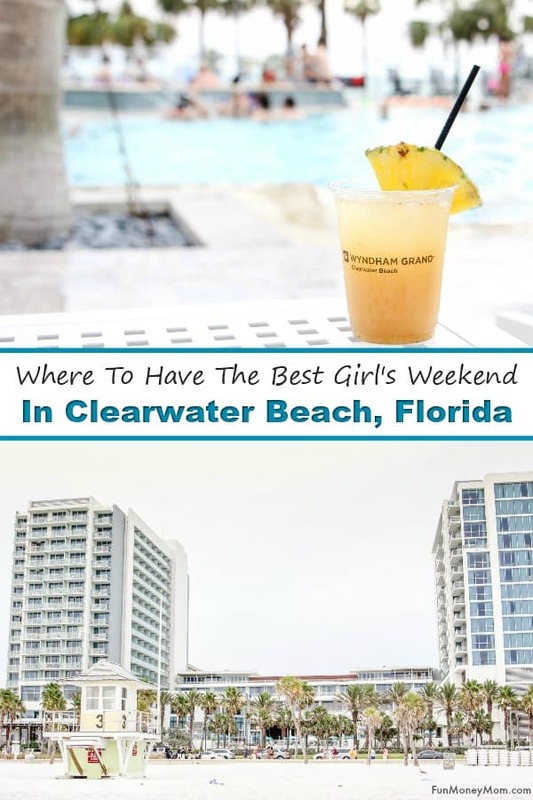 However, you’ll also find treatments here that you can’t get anyplace else in Clearwater Beach. 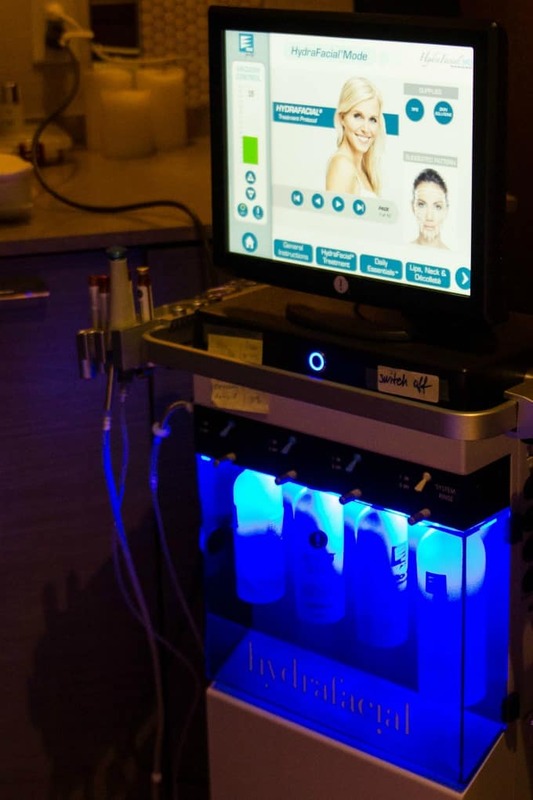 Hydrafacials are brand new to the Wyndham and these 30 minute treatments use patented technology to cleanse, extract and hydrate. The super serums are made with nourishing ingredients that leave your skin with a beautiful glow. Hydrafacials are more gentle than traditional facials and won’t leave your skin red like other treatments sometimes do. These are more soothing, moisturizing and non-irritating. 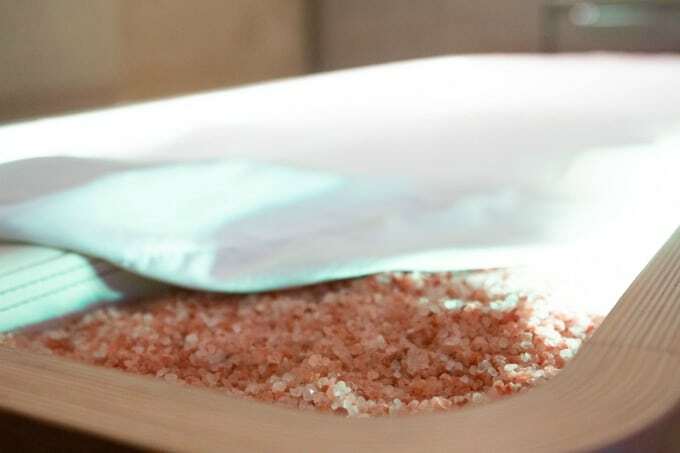 Salt therapy is another new addition to the Pallavi Spa. I hadn’t heard of it before but as I learned more about it, I discovered that this holistic, natural therapy has a lot of benefits. Using micro particles of salt, it helps you breath easier, gives you healthier skin, helps you sleep more soundly and is even said to improve physical fitness and endurance. The Wyndham has installed their own salt chamber so you can relax on a bed of salt and just breathe it in. Salt therapy has also been known to help with respiratory and skin conditions. 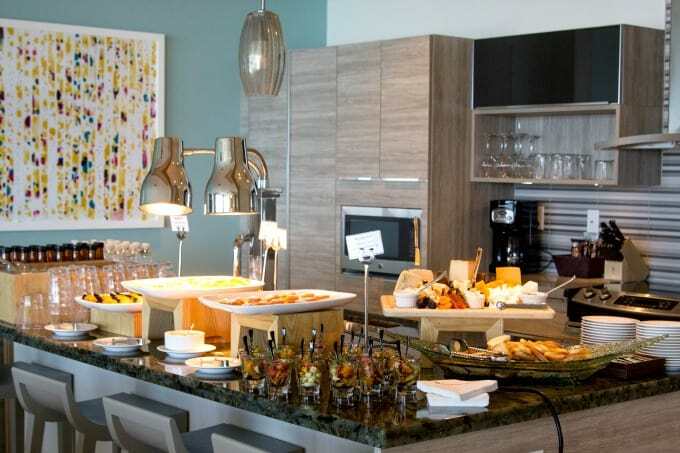 If you really want to splurge, start your weekend in the Presidential Suite. This three bedroom suite, with an oversized balcony overlooking the water, can be reserved for receptions and other special events. We felt totally spoiled by the amazing service and the mouthwatering hors d’ oeuvres. 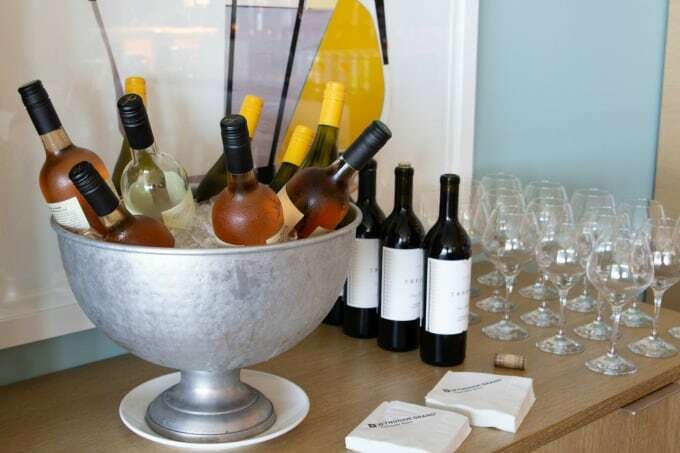 Of course, no girl’s weekend would be complete without wine! The enter suite was gorgeous but everybody’s favorite feature was the oversized bathtub overlooking the ocean. We couldn’t leave without trying it out! 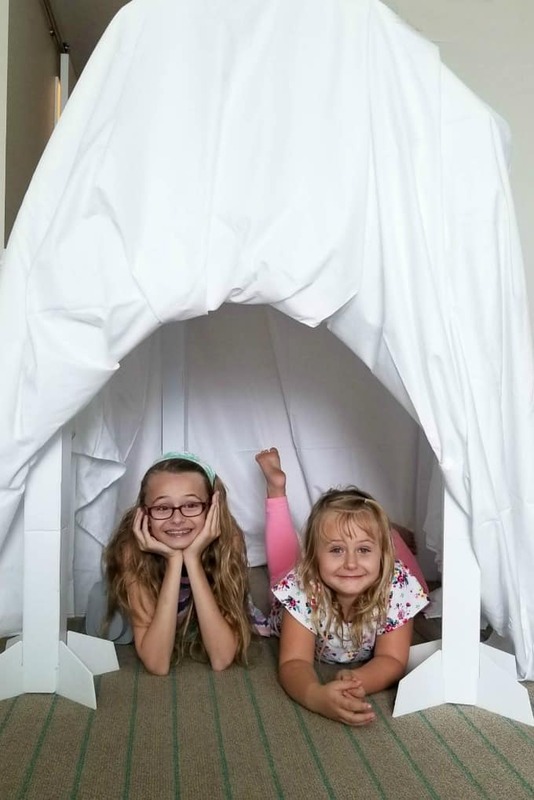 While I loved the Wyndham Grand for our girl’s weekend, I’ve got to share one more thing…it’s also awesome for families! I was able to experience their Reconnected Program with my girls earlier this year. If you want to come back with the family, you should check this out. When we checked in, we were given a special lockbox to lock away our phones and other electronics. This way we could have uninterrupted fun. There would be no stopping to check e-mail, post on Facebook or take a quick glance at the news (and no Roblox for the girls). Not only that, we built a fort in our room, made shadow puppets and more. With none of the usual distractions, my girls and I were able to just enjoy being together! Now the Wyndham taken it up another notch. When you participate, you’ll get your own special VIP section by the pool, as well as special perks, amenities and prizes. You’ll even have the chance to win 75K Wyndham rewards points, enough for a 5 night vacation! Technology has totally transformed the way we vacation and I’m just as guilty, if not more so, of spending too much time checking messages or trying to get the perfect Instagram shot. This program encourages us to focus more on our family, which is why we go on vacation to begin with, right? Whether you want quality time with the family or time away with friends, this is the place to do it! A weekend at the Wyndham Grand with some of my favorite people was just what I needed! When’s the last time you had a weekend getaway? Are you overdue?